During the month of April the Marco Island real estate market continued its momentum by achieving another significant increase in activity when compared to prior year same time frame, according to the Marco Island Area Association of Realtors Multiple Listing Service. Closed sales for single family homes, home-sites/vacant lots and condos outpaced prior year. Properties under contract rose for single family homes and home-site/vacant lots, while dropping for condos. Inventory levels continue to provide an excellent selection for buyers, particularly in the condo segment. The pace of sales for single family homes and home-site/vacant lots is beginning to reduce inventory levels. 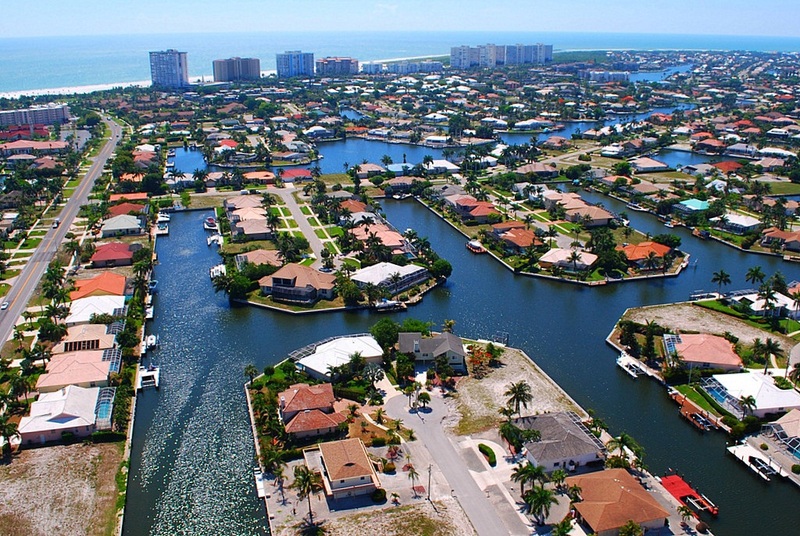 Well priced properties on Marco Island are selling at a solid rate and we experienced a very strong season. Closed sales for April 2017 performed very well relative to April 2016. Forty-four single family homes sold which is an increase of 29.41 percent versus prior year same time frame. Thirteen home-sites (vacant lots) sold which amounts to a 44.44 percent increase over prior year. Fifty-seven condos sold, an 11.76 percent increase over last year. Pending sales, which are properties under contract that have not yet closed, again increased for single family homes and home sites/vacant lots (fourth month in a row for both), while slipping for condos (a first time this year for any property segment) when compared to April 2016. Fifty-nine single family homes went under contract which is 15.68 percent above last year at this time. Seventeen home-sites amounted to a 112.50 percent increase. Forty-eight condos accounted for a 32.39 percent decline versus April a year ago. Inventory levels rose for condos but declined on single family homes and home-site/vacant lots. Active listings for single family homes totaled three-hundred and fifty-five, a -9.21 percent decrease. Home-sites totaled 315, a -14.17 percent decrease. Condos finished the month with 410 active listings, which is a 16.48 percent increase. Median sale price (point at which 50 percent of the properties sell for more and 50 percent of the properties sell for less) performance was excellent for home sites/vacant lots, while down for condos. Single family homes had a median sale price of $810,000 which amounted to a 17.81 percent increase over April 2016. The median sale price for home-sites sold was $470,000 which increased 129.26 percent versus last April 2016. Condo sales achieved a Median Sale Price of $449,000, which is a decrease of -5.47 percent compared to April a year ago. When we look at the year-to-date performance through April 30, 2017 versus prior year same time frame, the results remain very encouraging. Single family home sales have increased 28.97 percent, home-sites sales increased 54.05 percent and condo sales increased 20.12 percent. The median sell price for single family homes of $830,000 has increased 10.66%, home sites/vacant lots of $440,000 has increased 7.31 percent and condos at $438,000 is up 6.18 percent. As an overall market we are experiencing positive trends. When you drill down to specific communities and segments the performance can vary. That’s one reason why it’s so important to reach out to a professional with your questions. For more details on specific segments of the market please contact your local MIAAOR Realtor to help you with further insights. Michael O’Rourke is president for the Marco Island Area Association of Realtors.